Kansas Secretary of State Kris Kobach’s lead over Gov. Jeff Colyer stands at only 110 votes after late mail-in ballots were added to previous vote totals Friday in their hotly contested Republican primary race. Kobach’s lead had been 191 votes when statewide results were first reported Wednesday morning. More than 313,000 ballots were cast in Tuesday’s primary. An aide to Kansas Gov. Jeff Colyer says Secretary of State Kris Kobach’s top deputy also shouldn’t advise county election officials while their tight Republican primary battle hangs in the balance. Colyer spokesman Kendall Marr said the governor objects to Kobach having Assistant Secretary of State Eric Rucker take over Kobach’s election duties while the race is unresolved. Kobach announced Friday that he’s stepping away from those duties until after the final primary vote is certified by the state. Colyer had called on him to stop advising county official on yet-uncounted ballots. Marr said that while Rucker is “a good and decent man,” assigning Kobach’s duties to an employee that Kobach can fire does not end conflicts of interest. Colyer has said the state’s attorney general should advise counties. Kansas Secretary of State Kris Kobach says he’s stepping aside from his duties as the state’s top elections official while his hotly contested Republican primary race with Gov. Jeff Colyer remains unresolved. Kobach announced his decision Friday in a letter to Colyer. Colyer had demanded Thursday that Kobach stop advising county election officials on the handling of uncounted ballots in Tuesday’s governor’s race and let the attorney general do it. The secretary of state’s office was updating results Friday as it received them from individual counties. With the first 25 counties reporting, Kobach’s lead almost doubled to 241 votes from 121. That’s still a tiny margin with more than 311,000 ballots cast. Colyer accused Kobach of advising county election officials to not count some late-arriving mail-in ballots that should be counted. Kobach’s office was planning a formal response later Friday. Kansas Gov. Jeff Colyer’s re-election campaign plans to have a representative in all 105 counties next week as local election officials review mail-in and provisional ballots to arrive at final official vote totals. Colyer’s spokesman said the governor believes Kobach’s office is advising county clerks to discard mail-in ballots that by law should be counted, and the campaign representatives will be at canvass meetings to be sure that they are. Kansas Gov. Jeff Colyer says he’s “not entirely” comfortable with the vote-counting process in his still-unsettled Republican primary race with Secretary of State Kris Kobach. Kobach promised Thursday night that he would remove himself from further counting but said the move would be “symbolic” because counties do the actual work. Kobach’s office has not responded to those allegations. An aide to Kansas Gov. 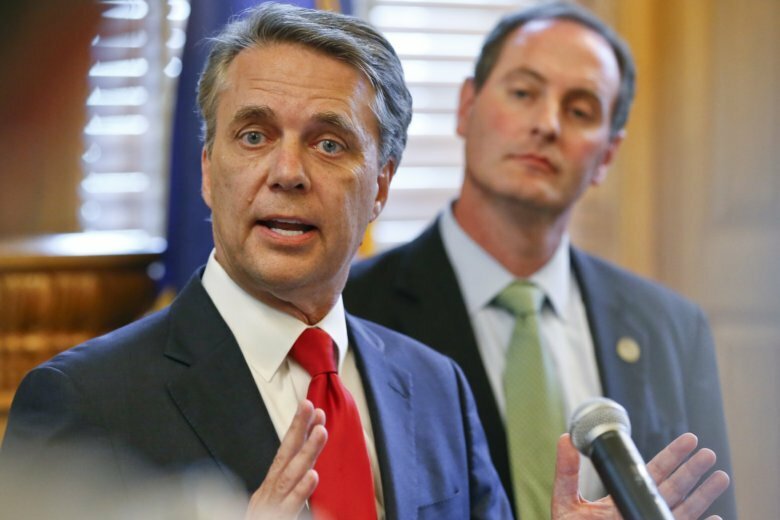 Jeff Colyer says Secretary of State Kris Kobach’s promise to remove himself from further counting in their contested Republican primary race is not enough.